A leading innovator in design and manufacturing, DENSO introduces the latest addition to the engine management sensor lineup. The manifold absolute pressure sensor (MAP sensor) is one of the sensors used in an internal combustion engine’s electronic control system. The MAP sensor provides instantaneous manifold pressure information to the engine’s electronic control unit (ECU), in engines that are typically fuel injected. The data provided by the MAP sensor is used to calculate air density and determine the engine’s air mass flow rate. This data determines the required fuel metering for optimum combustion and influence the flux of ignition timing. 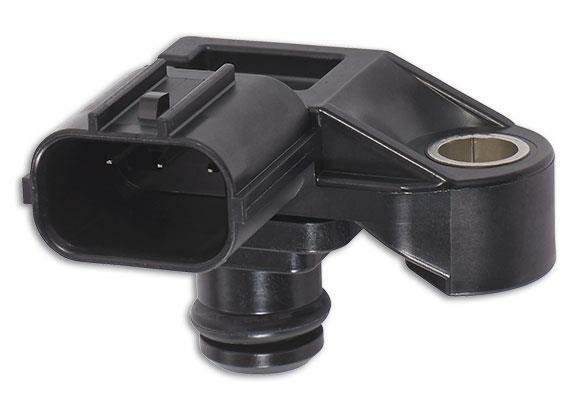 The MAP sensor can also be used in OBD II (on-board diagnostics) applications to test the EGR (exhaust gas recirculation) valve for functionality. As one of the first companies to produce engine management sensors, DENSO continues to bring new technology to the industry.